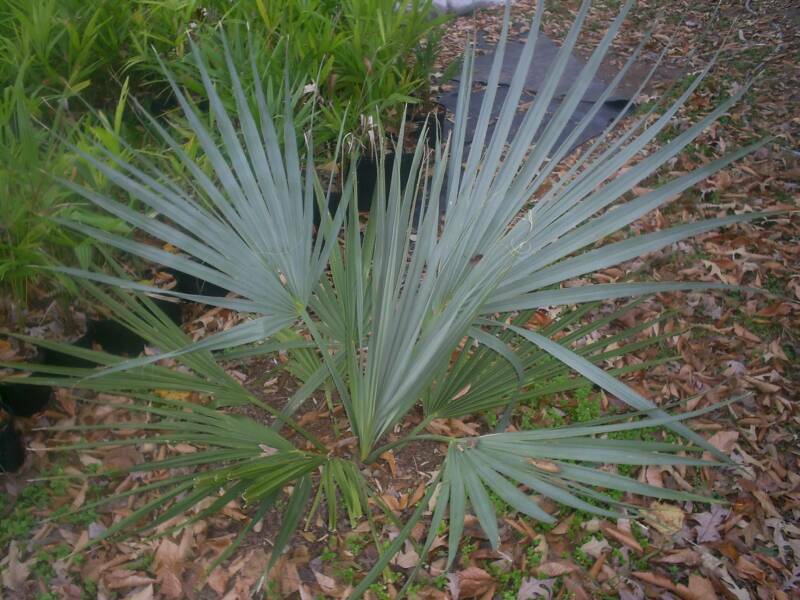 COLD HARDINESS: Since this palm is a recently identified (early 1990's) cross between Sabal minor and Sabal mexicana, we believe that it's cold hardiness will fall somewhere between that of the two parent species, somewhere in the high single digits (F). 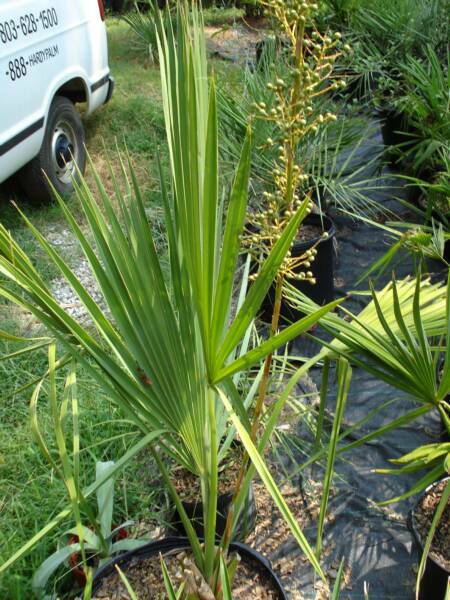 S. x-texensis should be fully adaptable to all of zone 8 and south and probably at least zone 7b with some winter protection. 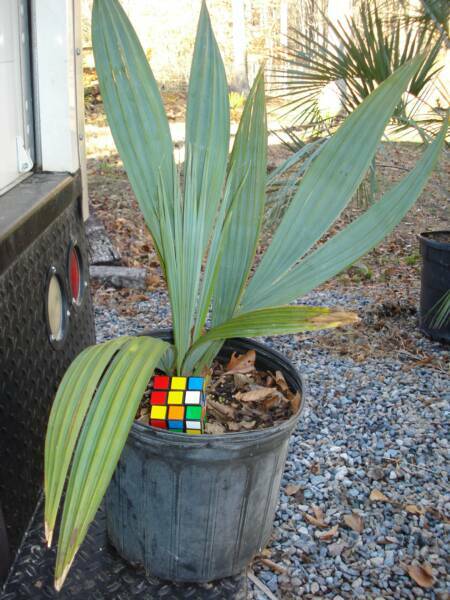 Some of you "zone benders" out there may think our cold hardiness assessments are a little too conservative.... but we feel it is better to be conservative than to have a yard full of dead palms, when we do get our next bad winter... and we will. 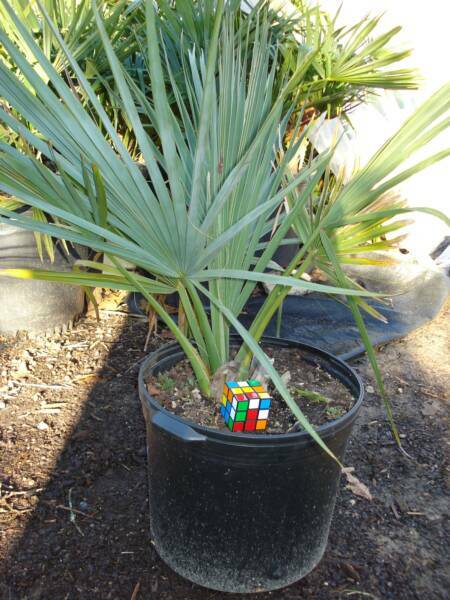 However, if you are into experimentation, this may prove to be a very hardy palm, we just don't have as much data on it as some of the other species. to posing for this picture.